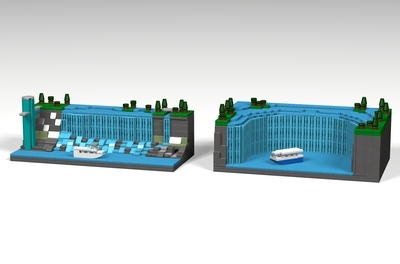 Hi everyone, here is my latest Lego Ideas project based on the house and Paradise Falls from the 2009 Pixar movie 'Up'. I have created a project similar to this before but this is a completley new design. This is a micro scale version of Mr Fredrickson's house and the main location, Paradise Falls. 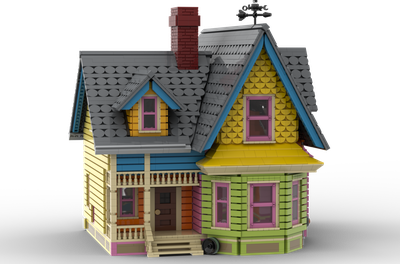 This set is based on the part of the movie when the house has just landed at Paradise Falls. 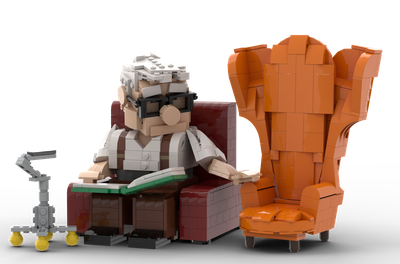 This set features the two rock formations of Paradise Falls, a waterfall, lots of foliage, Mr Fredrickson's house, and two micro figures of Russel and Mr Fredrickson and a couple of studs to represent Doug the dog. 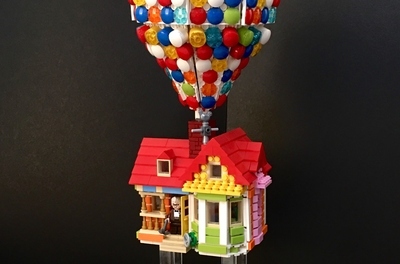 What's new to this project is that Paradise falls is longer and wider and the balloons attached to the house are an entirely new design. This project is made up of a total of 693 pieces. I hope you all enjoy and support this set! 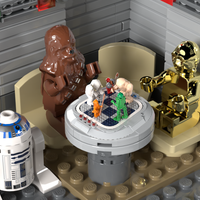 Please share this project with the LEGO community and your friends!